"Why can't I just read all day, everyday?" I have been waiting for this sequel to come out since forever! Specially with the way the first book ended, it just crushed me! 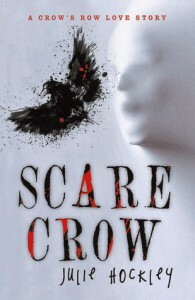 Scare Crow is the second book in the "Crow Row" series by Julie Hockley. I had two reactions to this book, them being: OMG! and WHY?! Let me just start with the book cover...I LOVE IT! If the storyline could have a book cover, that would be it! This was a sad, jaw-dropping sequel i've read yet. The story is told in alternating point of views of Emmy and Cameron. The book starts where it left of, Emmy and Meatball(the dog): waiting on classes to start, penniless and so very brokenhearted. The reason why I didn't give it five stars, was because the storyline was a little slow. 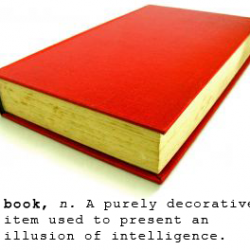 But once you started diving into the book, and really let it sink it in...WOW.. I cannot... cannot wait for the third book.